A medium sized laminated paper bag with strong woven polyester handles that showcases your logo centre stage. 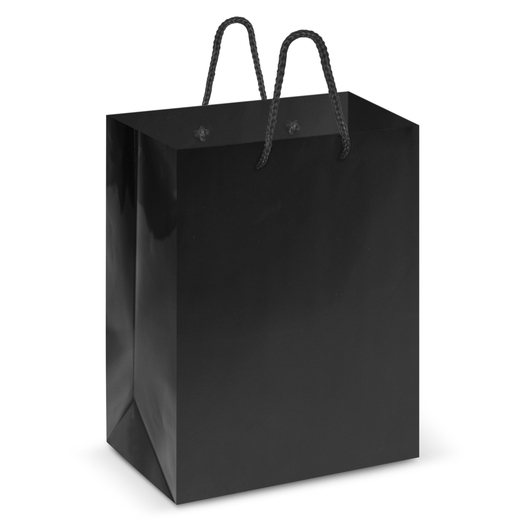 Great as gift packaging or a value adding tool for retail companies. 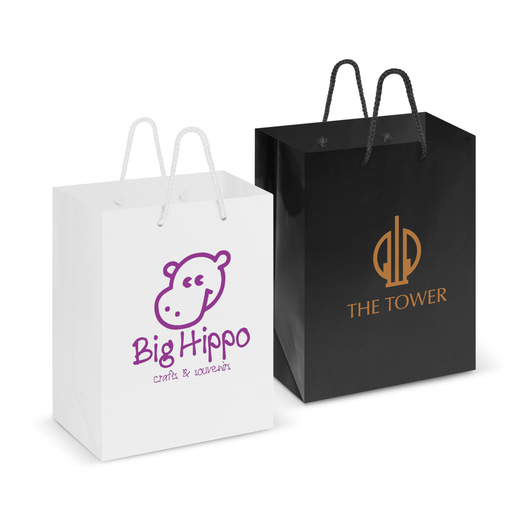 These 157gsm bags are the perfect tool to getting the most out of your next promotion. 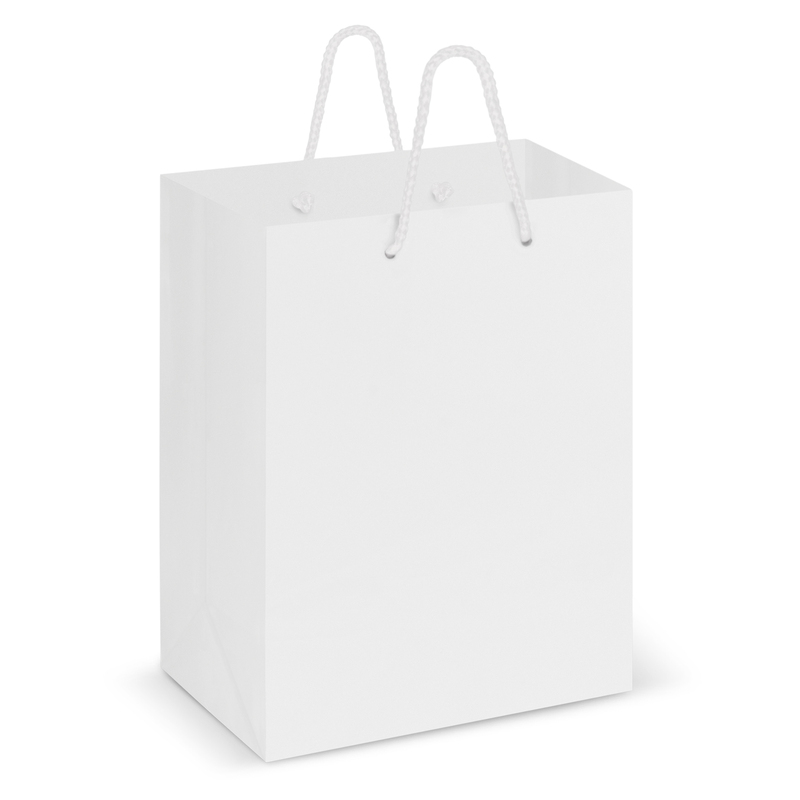 They come in either white or black and have strong woven polyester handles for easy transport.